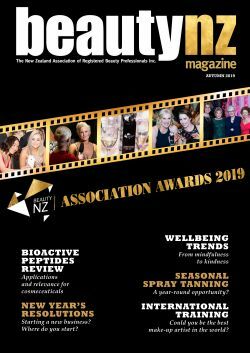 The New Zealand Association of Registered Beauty Professionals is the membership organisation for the beauty industry in NZ. We are a non-profit organisation dedicated to supporting our members, regulating the industry and achieving a highly qualified, and professional workforce. 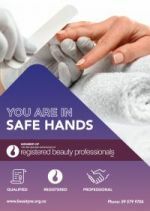 Our members have industry verified qualifications, are fully insured and follow strict health and hygiene guidelines to safeguard consumers, and the future of the industry. It is just over two week to go before submissions close, are you ready? It is your time to shine at one of the Professional Beauty's most coveted events. Be proud that you are a member of the NZARBP, show everyone that they are definitely in ’Safe Hands’ with you. ✔️ A QUALIFIED Beauty Professional. ✔️ You adhere to STRICT health and hygiene protocols and practices. ✔️ And you belong to a community of like-minded professional women which are some of the most forward-thinking in the country. The Government has presented a proposal to reform the current vocational education system, including apprenticeship training and training offered by Institutes of Technology and Polytechnics. At this point, it is only a proposal. However there is an extremely short consultation period. As an association we support all forms of education and believe that every individual has the right to choose their learning path. We strongly believe that quality is the key for both training and learners. The NZARBP's position is that we would like the status 'quo' to remain and are extremely concerned for the future of our industry, if the proposed changes are adopted by the Government. It is important that your voice is heard, therefore we ask that you be part of this conversation for the future of our industry! For further information about the proposed changes and links for feedback submission, please visit the Ministry of Education website, through the link below. The Ministry of Health is now seeking feedback on the draft of a NEW Therapeutic Products Bill. This bill would replace the Medicines Act 1981 and establish a new regulatory scheme for therapeutic products. This includes medicines (including cell and tissue products) and medical devices. This is an extremely important issue that will dictate the future of industry technologies and devices. 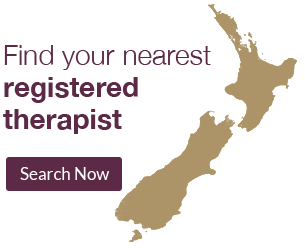 Laser, PRP, needling services, tattooing, numbing creams cosmetic filler and HIFU are only a few of the services that could be affected. Submissions can be made up until 5.00pm, Thursday 18 April 2019. Don't Delay Have Your Say!! Recent publicity about poor hygiene conditions and resulting bacterial infections has put beauty treatments under public scrutiny. To highlight the benefits of visiting a member of The New Zealand Association of Registered Beauty Therapists Inc, we have launched the ‘Are you in Safe Hands?’ campaign. It is important to check that your beauty professional is fully trained.